We are available for appointments Monday through Saturday from 9 a.m. to 6 p.m.
We are your full service, shop at home, window treatment company serving all of Monterey County. 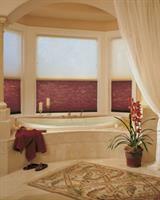 We sell Custom Window Treatments, and Repair all types of blinds and shades. 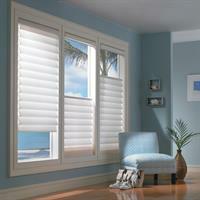 We carry major manufacturers like Hunter Douglas, Horizons Window Fashions, Alta Window Fashions, Graber/Springs Window Fashions, and more. We come to your home or office with FREE estimates. Owned and operated by Richard and Mechalina Helton for over 14 years. 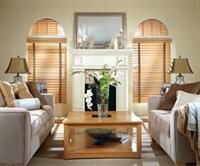 Products included are blinds, shades, shutters, draperies, cornices, valances, and more. When you are dealing with us, you are working only with us in all aspects of the business (except shutter installation, then we have an expert we hire for that service). 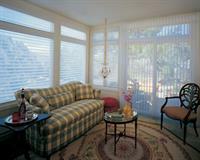 Established in 2004, we started the business in Kansas, and have been here in Monterey county since 2007. Check out our website and information with reviews on Linked in, Facebook, Houzz, Angies List, and Yelp. 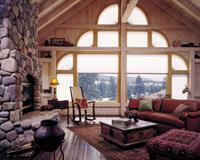 ''We don't just cover your windows, we dress and care for them!'' 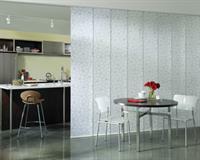 We are committed to understand your needs and budget to get the best products that fit your personality and lifestyle. Before doing this business, we started the Papa Murphy's Take n Bake Pizza stores in Salinas, CA. We both operated the store at Star Shopping Center, and earned awards of being the top-rated store in all of the Bay Area a few different months. Before that our careers were in banking administration and property management.